the hardest of times, does thrive, and demonstrates that Detroit is not the city of death and decay that everyone was reporting in the media, but one that shows signs of human activity and movement. However, not withstanding the recent press about Detroit’s efforts to rebound from its recent bankruptcy, which is in all ways promising, my focus continues to rest on the current conditions that affect many of those who have fallen through the cracks, forgotten and marginalized poor people whose lives will only minimally be improved by the recent redevelopment of the city. But whatever that outcome may be, I’ve found that most Detroiter’s wear their pride for the city they live in much like an honored badge of courage, defying all odds, openly admitting that if you can survive here, you can survive just about anywhere. My hope is that this work will convey in many ways that Detroit is a city made up of many small communities, all building a way of life through perseverance, hope, and sheer determination. A city clinging to the vanished ideals of an urban oasis that once hailed itself as one of the most beautiful and prosperous cities in America, at one time a model city for all others to follow, but one which has now fallen from grace. 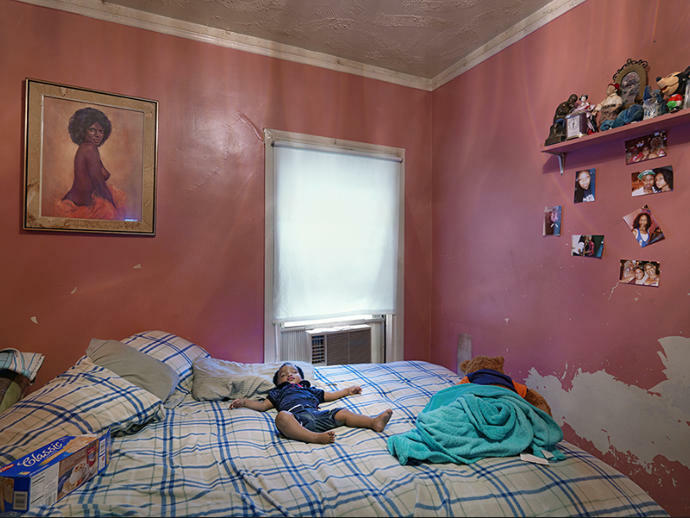 This personal project is not about what’s been destroyed, but more importantly about what’s been left behind and those who are left to cope with it. 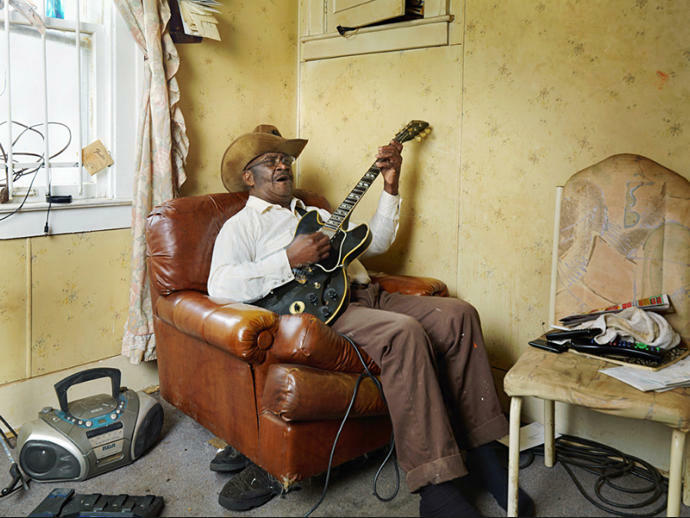 Glemie, well known raccoon hunter, playing the Blues. Detroit 2011. Woman sleeping in a parking lot, Detroit 2010. 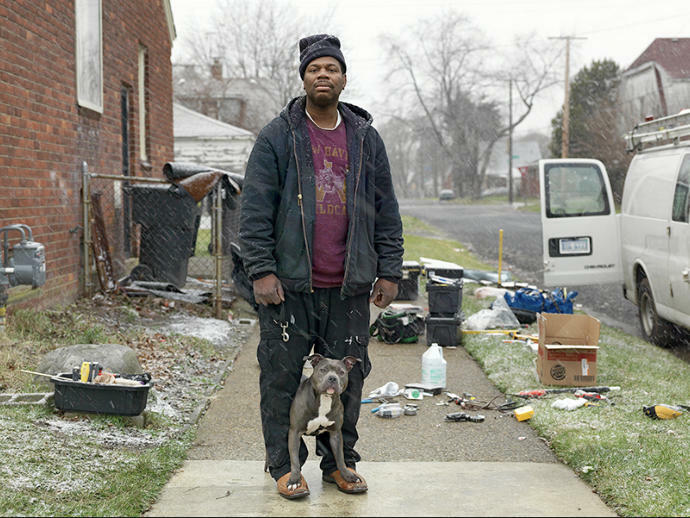 Calvin with one of his three Pitbulls, Detroit 2011. 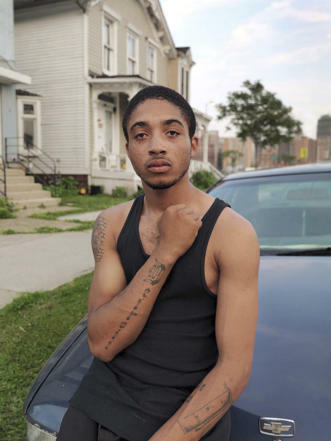 Deshawn displaying his Detroit tattoo, Detroit 2010. Best friends David & Juwan, Detroit 2011. 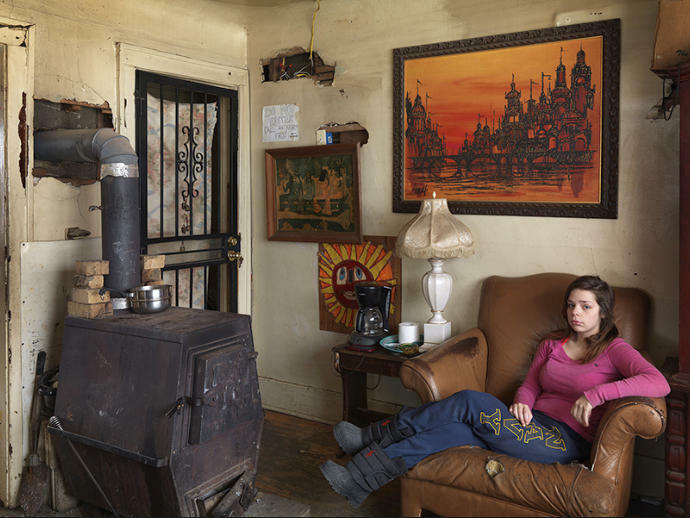 Claire in her mother's dining room, Detroit 2015. 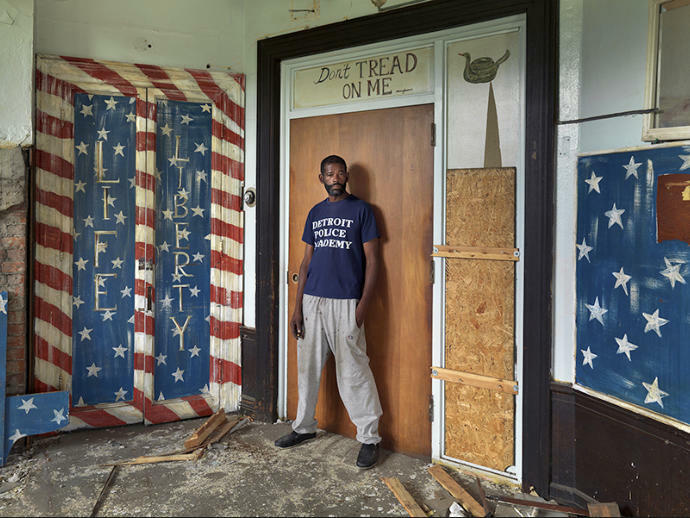 Cornell was living in an abandoned nursing home for veterans after recently being released from prison, Detroit 2013. Police cadet riot training being performed in an abandoned strip mall parking lot, Detroit 2011. 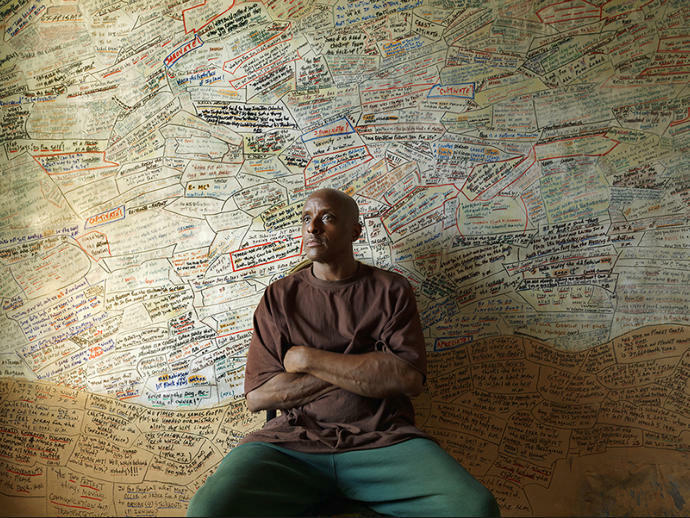 Hakeem in his room of quotes, Detroit 2012. 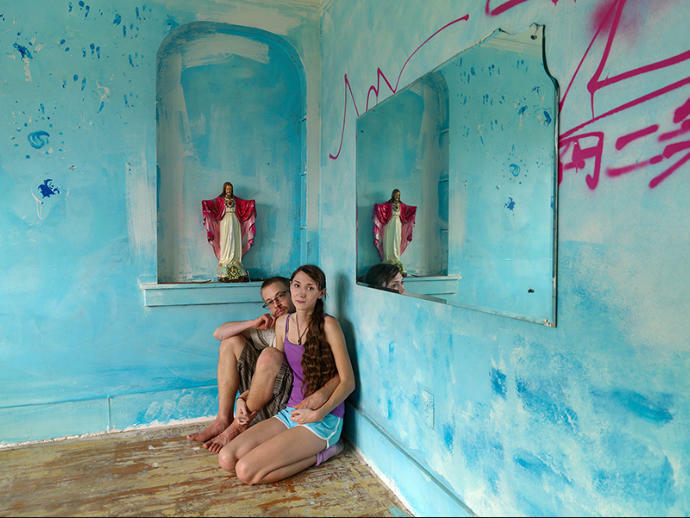 Marshall and Jeannette living in an abandoned house on Goldengate Street, Detroit 2012. Semira sleeping in Kat's house, Detroit 2012. 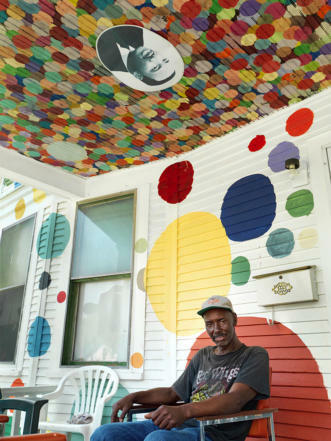 Lynn on his front porch, Heidelberg Street, Detroit MI 2010. 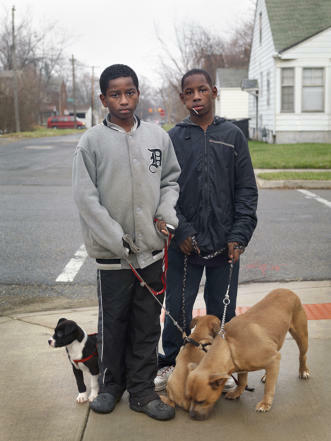 Dayvon and Christian going door to door selling Pitbull puppies, Detroit MI 2011. 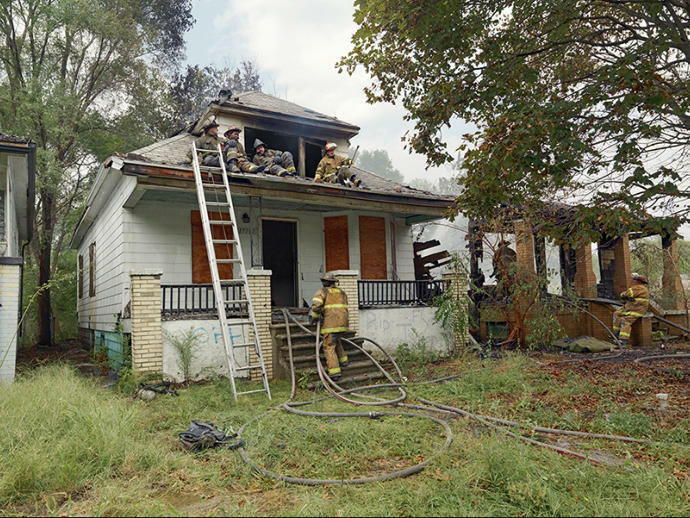 Fireman resting on a roof after extinguising an arson fire, Detroit 2012. 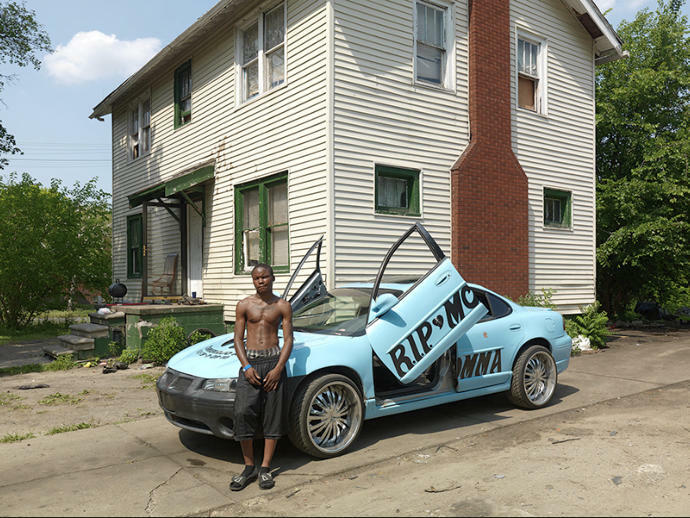 Bey-Bey stands in front of a memorial car dedicated to his deceased mother, Detroit 2012. 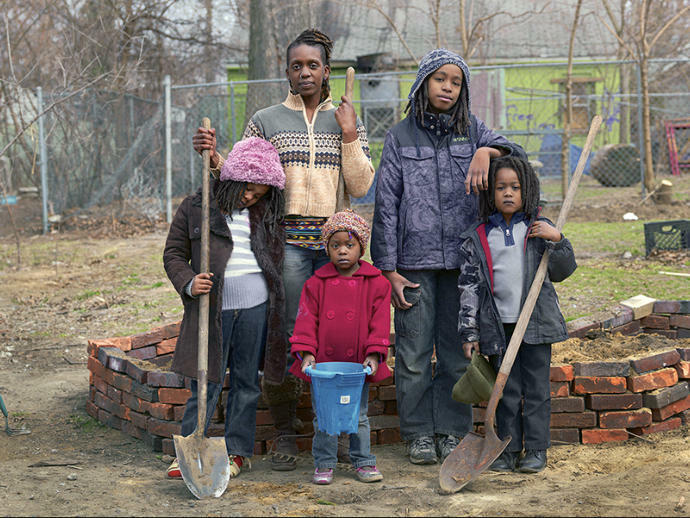 Tissheama with her children building a garden in her yard, Detroit 2013. 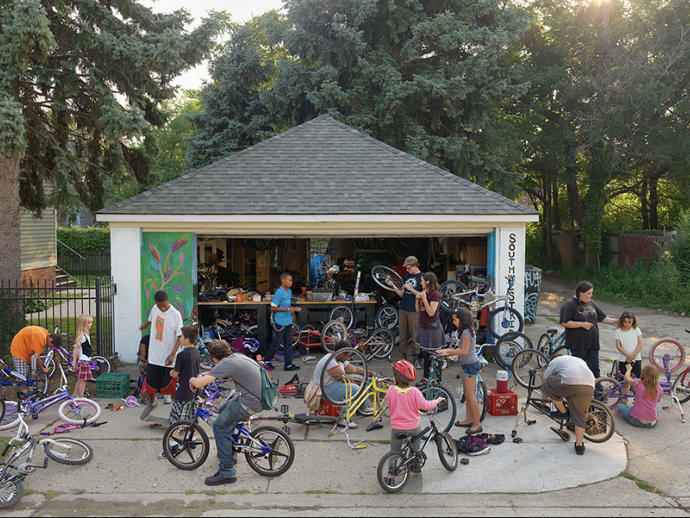 A volunteer community bicycle collective that helps kids out in the neighborhood, Detroit 2013. 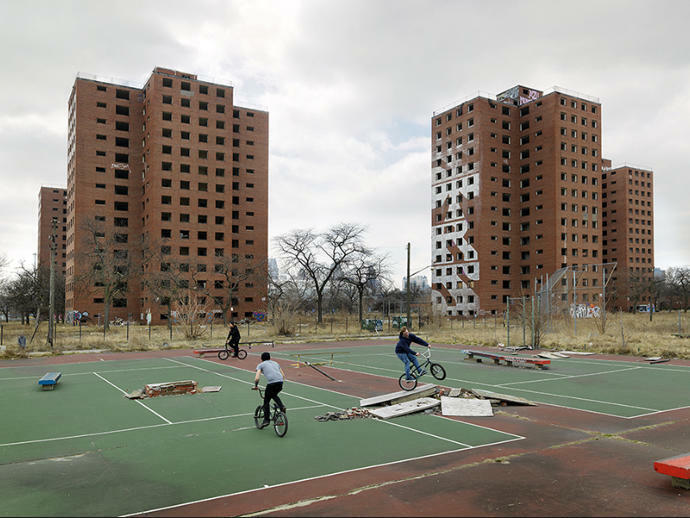 Makeshift BMX course on the grounds of the abandoned Brewster-Douglas Projects, Detroit 2013. 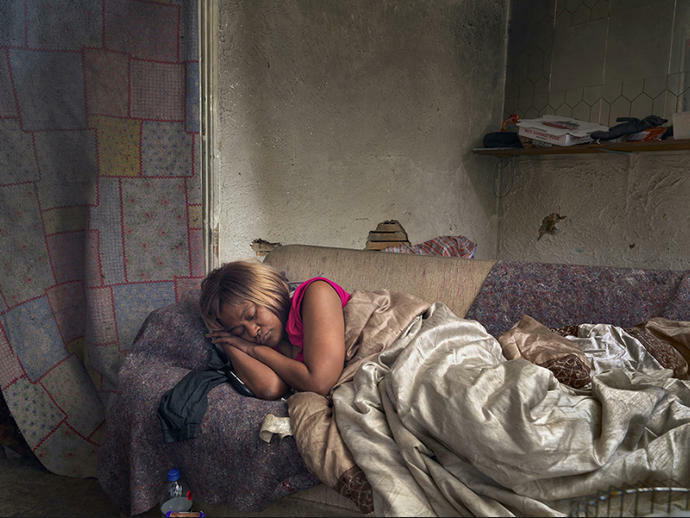 Diane, who was homeless, lies sleeping at a friend’s house, Detroit 2013.